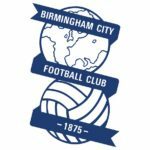 Championship football returns on Friday evening with a televised fixture at St Andrew’s between Birmingham City and West Bromwich Albion. Blues are still looking for their first win of the season having drawn four and lost two of their opening half dozen league games, and also lost to Reading in the Carabao Cup. Albion, on the other hand have won five of their last six games, three of them in the league, scoring sixteen goals in the process and will be hoping that the defeats to Bolton and Boro that are the only blemishes on their record so far are the exception to what could be a successful season. The win over Stoke was an important result with the Potters looking to recover from a shaky start to the season. Albion were undoubtedly the better side but continue to offer their opponents opportunities with unconvincing defending. With Afobe’s penalty miss and the incident where McClean’s block on Johnstone’s kick just cleared the bar, Albion were perhaps fortunate to get all three points even though few would have argued that they didn’t deserve them. The brace for Dwight Gayle was the big positive from that game, with the skill shown for the opener a delight to behold, but the performance of Harvey Barnes should not be underestimated. The young loanee from Leicester City has been a real star so far this season and looks to be an England player of the future. Since moving into the number ten position, he has really thrived and if he continues to perform at this level, he could be a massive part of Albion securing promotion back to the Premier League. With those two complemented by Phillips and Rodriguez, Albion have one of the most feared front lines in the Championship but concerns remain further back. Dawson was returned to the back three against Stoke City and, while there were a few moments to worry the Albion faithful, I thought it was generally a better defensive performance. Hegazi had probably his best performance of the season, notwithstanding the poor back pass that led to the McClean/Johnstone incident, and having Dawson alongside him was perhaps one reason for that. It is when in possession that the back line look shaky and, for me, it is the lack of movement from the players in front of them that is the biggest factor in that problem. If Moore wants Albion to play out from the back, Livermore, Brunt and Barnes need to move around and look for the ball. Phillips and Gibbs are, understandably, sticking out wide and the midfield three need to give the player in possession options. Opponents will have seen the problems Albion had against Stoke, and that hard press is something that they will need to learn to deal with. Livermore played well against the Potters, although he was perhaps lucky to stay on the field after the handball incident, but Brunt was once again disappointing. Moore seems to want to persist with his captain but surely, at some point, he needs to give Field or Harper a chance. There is always Gareth Barry, but he’s not really going to give us any more legs which is really what Brunt is lacking. Garry Monk was appointed manager of Birmingham City in March following the sacking of Steve Cotterill and managed to guide City to safety on the last day of the season with victory over Fulham winning five of his eleven games. This season, however, he is yet to discover the winning touch with the goalless draw against QPR last time out being, perhaps, the one game they would have hoped to have won. Draws with Swansea and Nottingham Forest, however, were good results but he will be under pressure while the W column remains empty. It is off the field that the situation looks particularly dire with the prospect of administration hanging over the club, and the potential 12 point deduction that could result. Given their current form, that would effectively mean relegation for Blues and a return to the third tier for the first time since Albion’s 1-0 win at Portsmouth on the last day of the 1993/94 season sent them down to what was then Division Two. Albion and Blues have not met in the league for more than seven years following City’s relegation in 2011. The last league meeting was in the March of that year at St Andrew’s when the visitors ran out 3-1 winners thanks to goals from Youssuf Mulumbu, James Morrison and Paul Scharner. City’s last victory over Albion was back in 2006 when a Gary McSheffrey double was enough to win a Championship fixture in Small Heath with Baggies full back, Paul Robinson, receiving his marching orders late on. That was the last in a run of five winless visits to St Andrew’s for Albion in the early part of the 21st century when both clubs swapped between the top two divisions on a regular basis. Overall, Albion have an excellent record at Blues having won more times than they have lost at St Andrew’s and Small Heath’s first home ground, Muntz Street. The Baggies first two visits to Muntz Street were in the FA Cup, the first being in February 1889 resulting in a 3-2 win for the visitors thanks to goals from Tom Pearson, Joe Wilson and Walter Perry. Albion also won on their first visit to St Andrew’s, an FA Cup replay in January 1908, by which time the hosts had changed their name to Birmingham City. Harry Wilcox and Willie Jordon got the goals on that occasion in a 2-1 victory. The Baggies biggest ever win at St Andrew’s came in April 1960. Ronnie Allen and Derek Kevan both scored hat tricks while Alec Jackson also netted in a 7-1 win in Division One fixture. In the previous visit two years earlier, Allen and Kevan had also scored adding to a brace apiece from Jimmy Campbell and David Burnside as Albion ran out 6-0 winners. Having also registered a 5-3 win in 1957, Albion scored a remarkable eighteen goals in three visits to St Andrew’s – the 2-1 win in the subsequent visit must have been something of a disappointment! Blues biggest win over Albion is 4-0, a feat they have achieved on three occasions. The most recent was in the midst of Albion’s dreadful run in 2004 that preceded the Great Escape. Bryan Robson’s men were abject as Robbie Savage, Emile Heskey and Clinton Morrison gave the hosts a 3-0 first half lead before Darren Anderton came off the bench to make it 4-0 with ten minutes to go. The most famous meeting between the sides was, of course, back on 25th April 1931 when second division Albion met first division Birmingham in the FA Cup Final at Wembley. The Baggies were pushing for promotion but still had two league games to play after the cup final. The legendary Ginger Richardson gave Albion a first half lead only for Joe Bradford to equalise for Blues just before the hour mark. It took Richardson just a minute to restore the lead and the Baggies held on to win the Cup for the third time. A week later, Albion won their third game in a week to secure promotion to Division One and what remains a unique double of the FA Cup and promotion in the same season. Albion to keep up their winning run and leave Garry Monk still looking for a first win of the season.